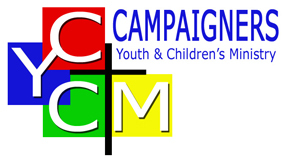 Campaigners is a club for boys which meets on a Friday night during term time for games, Bible-based teaching and life skills. We have two groups: Junos for children in Year 1-6 which meets from 6-7.15 pm and Crosstrax for Year 7 plus which meets from 7.30-9pm. A variety of activities encourages them to integrate with each other, and the teaching introduces them to the truths of the Bible and the Christian faith.